Professor Svein H. Gullbekk’s richly illustrated book traces the history of gold coins from the year 625 BC all the way to Hitler’s hunt for gold during the Second World War. This book is not just intended for experts, but for any reader who is interested in history, culture and gold currencies. Professor Svein H. Gullbekk is an internationally renowned numismatist who gives enthusiastic lectures about coins and medals across Europe. 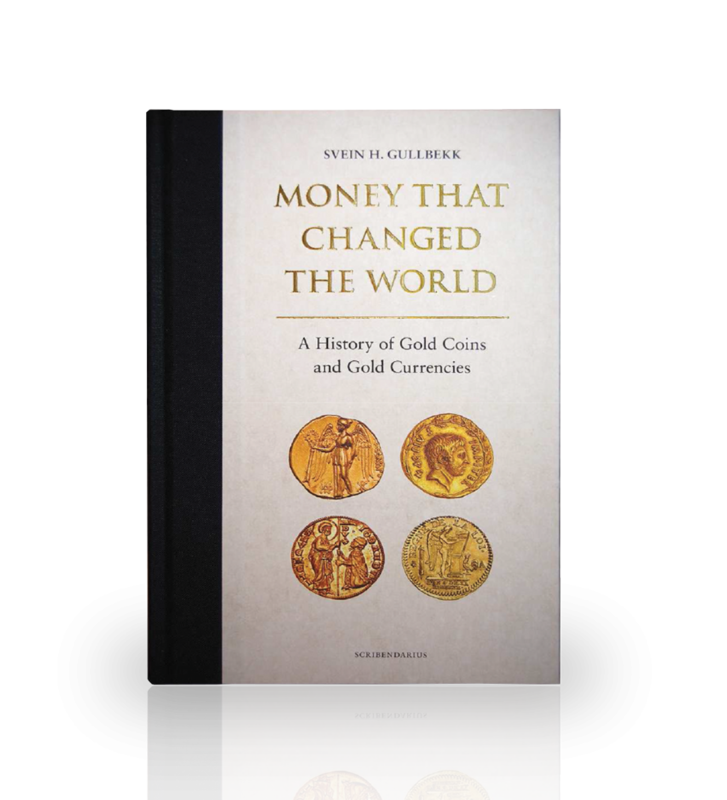 Dr Gullbekk brings the enthusiasm and knowledge from his lectures into a just-published hardcover book, which is the first ever to detail the history of gold coins and gold currencies in one volume. Gullbekk noticed when preparing for lectures and speeches that it was difficult to find a single book which covered the whole history of gold coins and gold currencies. There were many books about a single country´s or region´s coins and coinage, but not one which in a readable, factual and simple way covered a more general perspective for gold coins and currencies. Money that Changed the World A History of Gold Coins and Gold Currencies traces the history of these gold coins from the year 625 BC all the way to Hitler´s hunt for gold during the Second World War. This book is the result of many years of studies into gold coins and currencies. It is richly illustrated and intended not just for experts, but for any reader who is interested in history, culture and gold currencies. Svein H. Gullbekk is Professor of Numismatics at the Museum of Cultural History, Oslo University. He has published several books and articles on numismatics, and the history of money as well as a series of books for the general public. He is currently leading an international research project on Religion and Money: Economy of Salvation in the Middle Ages funded by the Norwegian Research Council.